In this Feb. 7, 2014, file photo, German fashion designer Karl Lagerfeld poses next to a photo of himself and his cat Choupette during a visit to the workshops that work for Chanel in Pantin, outside of Paris. 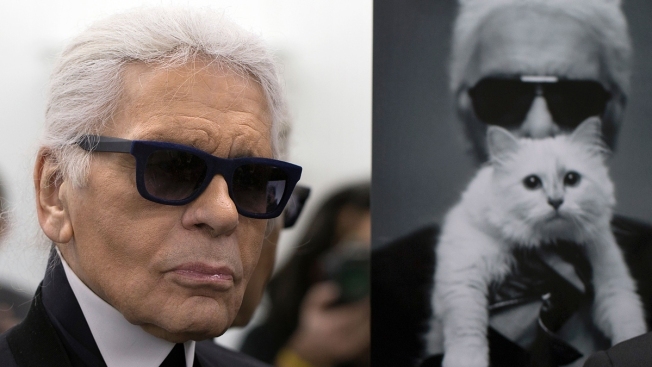 Karl Lagerfeld's cat Choupette is reportedly set to inherit some of the Chanel designer's estimated $195 million fortune. Chanel confirmed on Tuesday that Lagerfeld, who had been the fashion house's creative director since 1983, had died at the age of 85 after a short illness. According to French magazine "Le Figaro," Lagerfeld said in a past conversation that Choupette was an "heiress." "If something happens to me, the person who will take care of her will not be in misery," he said in a 2015 interview. 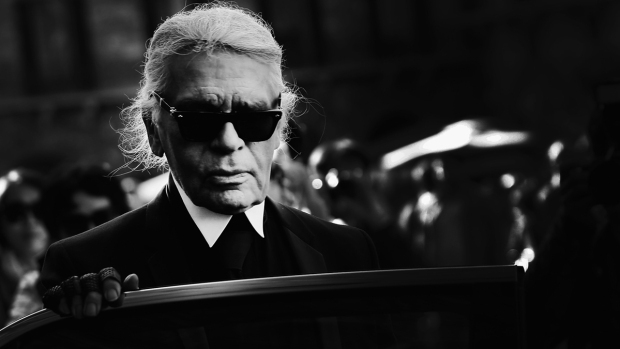 Karl Lagerfeld, the powerhouse designer behind French luxury brands Fendi, Chanel and Karl Lagerfeld, has died. Choupette is famous for living a lavish lifestyle, with Lagerfeld referring to her as a "full time job" and hiring maids dedicated to caring for her. She has 235,000 Instagram followers and more than 50,000 followers on Twitter. Any inheritance Choupette receives from Lagerfeld's estate will add to her own fortune, with Lagerfeld revealing in the past that his feline companion had earned more than $3 million from modelling jobs. Depending on how much is bequeathed to Choupette, she could be poised to set a new record for the world's wealthiest cat. The record is currently held by a cat named Blackie, who inherited 7 million pounds ($9.15 million) from his British owner in 1988. A spokesperson for Chanel was not immediately available for comment when contacted by CNBC.